Home / Behavioral Health / What are the leading causes of stress for Americans? What are the leading causes of stress for Americans? New research finds that discrimination is one of the leading causes of stress for Americans. 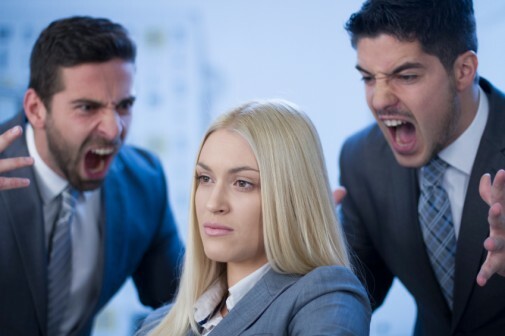 A recent study found that seven in 10 adults reported they experienced discrimination, defined as being treated with less courtesy or respect, threatened or harassed, according to the Stress in America survey released by the American Psychological Association. And almost half of adults experienced major forms of discrimination such as unfair treatment by police, being unfairly fired or denied a promotion, or receiving poor treatment from health care providers. The survey, which polled more than 3,300 adults, indicates that even the anticipation of discrimination can contribute to stress. For example, study participants said they take their appearance into consideration to avoid harassment or to receive good service. Others noted the need to prepare for insults before leaving home and being extra cautious about what they say along with the tone they use to speak. Other stress factors, reported in the study, include work, money, the economy, health concerns and family responsibilities. While these daily stress factors tend to remain the same throughout the years, more Americans reported experiencing extreme stress. In fact, 24 percent of adults reported experiencing extreme stress, compared to 18 percent in 2014. Dr. Maleeha Ahsan, a psychiatrist at Advocate Good Samaritan Hospital in Downers Grove, Ill., says it’s important to learn how to react to life’s stresses in a healthy way, otherwise chronic stress can lead to health complications. For example, study participants who reported higher stress levels also described their health as “fair” or “poor,” as compared to “very good” or “excellent” health described by those with average stress levels. Take a break – give yourself permission to step away to clear your head. Get enough sleep – your body needs additional sleep and rest during stressful times. Exercise – staying physically active benefits your body and your mind. Go for a walk, run, swim or even dance to music in your living room. Practice relaxation and mindfulness techniques – try a breathing exercise, meditation, prayer, yoga or tai chi. Talk to someone – confide in family and friends about how you are feeling and look for ways that they can help. A physician or therapist can also provide professional help. Accept that you cannot control everything – put your stress in perspective: Is it really as bad as you think? Is this holding you back from living a healthier life? ← Are sugar-free drinks damaging your teeth? Johnna Kelly, healthe news contributor, is a manager of public affairs and marketing at Good Samaritan Hospital in Downers Grove. She is a former newspaper reporter and spent nearly 10 years as a public relations professional working for state and county government. During her time as a communications staffer for the Illinois General Assembly, she was integral in drafting and passing legislation creating Andrea's Law, the nation's first murderer registry. In her spare time, she volunteers at a local homeless shelter, enjoys traveling, photography and watching the Chicago Bulls. It was a week full of surprises for kids battling cancer, congenital heart defects and other health issues. Learn more about their trip! Is it dementia? Or maybe it's just information overload?